Museums now face a similar situation as did journalism at the beginning of the 21st century: a mix of threats and opportunities that has thrown the whole industry into a transitional period of experimentation and anxiety. This talk will address how I am approaching the role of the museum in our global, urban, digital, realtime world from a curatorial perspective. Rather than collecting technologies as they are art objects, or putting them on display in a form of future archaeology, my approach has been to attempt to put the effects of digital media on display, as with the Åzone Futures Market online exhibition. Forthcoming work is focused on going further into the physical architecture of the museum to both enlighten and stabilize the otherwise increasingly transient lives of museum visitors. I will present some thoughts on these topics with examples from work at the Guggenheim. 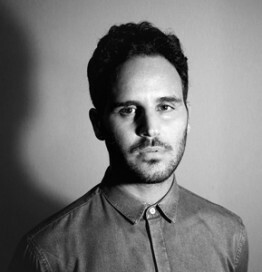 Troy Conrad Therrien is Curator, Architecture and Digital Initiatives at the Guggenheim. He was previously an adjunct professor of architecture at Columbia University where he co-founded the Architecture Online Lab, and co-founder of Therrien–Barley, a design and innovation consultancy. Initially trained as a computer engineer, and later in architecture design, history and theory, his current work focuses on the relationship between architecture, communication technology and political economy through a curatorial practice blends traditional exhibitions with other experimental forms of programming.